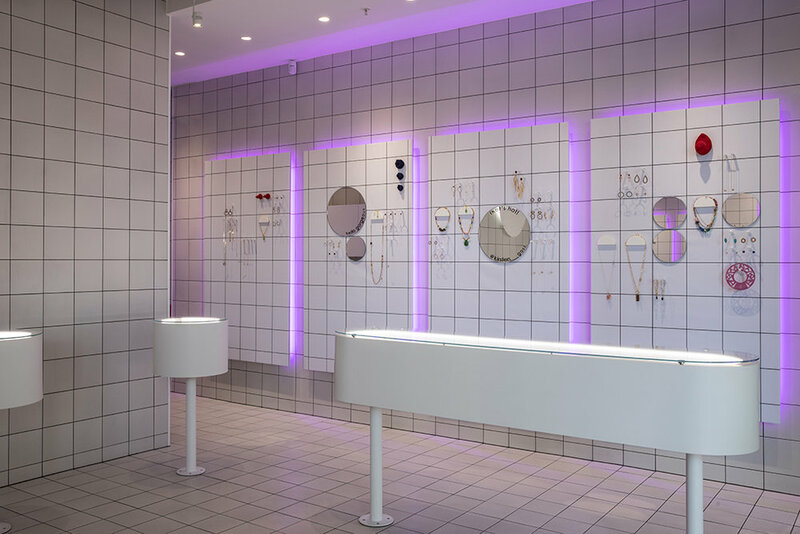 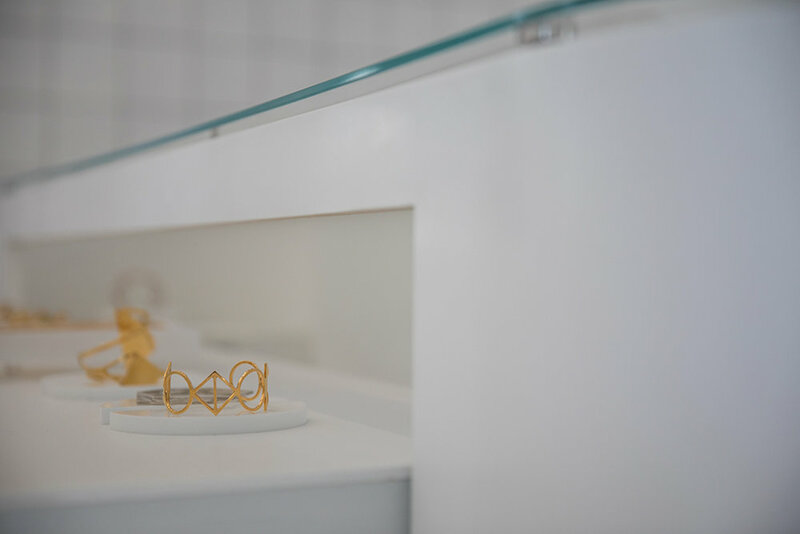 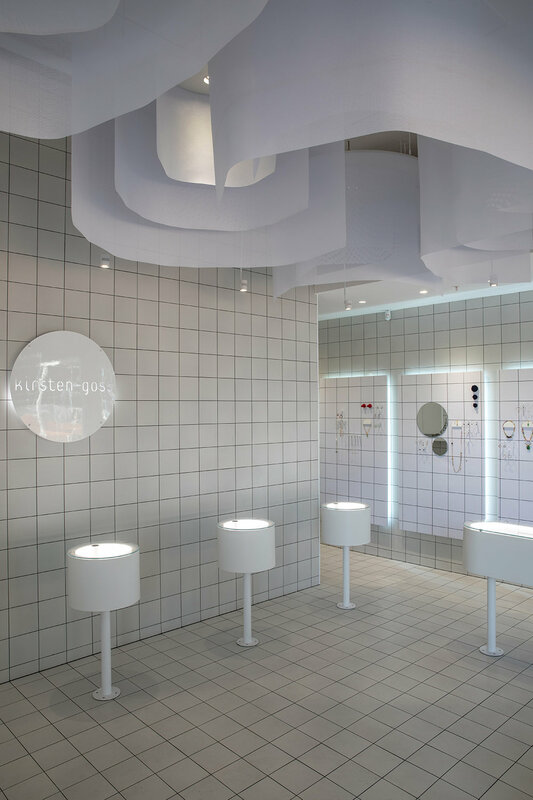 In 2017, HesseKleinloog was approached by Kirsten Goss to design a flagship showroom space for her eponymous jewellery line that would challenge every convention associated with the traditional jewellery retail environment. Equal parts austerity, levity and luxury, the space exudes kittenish sophistication, delivered with clinical precision. 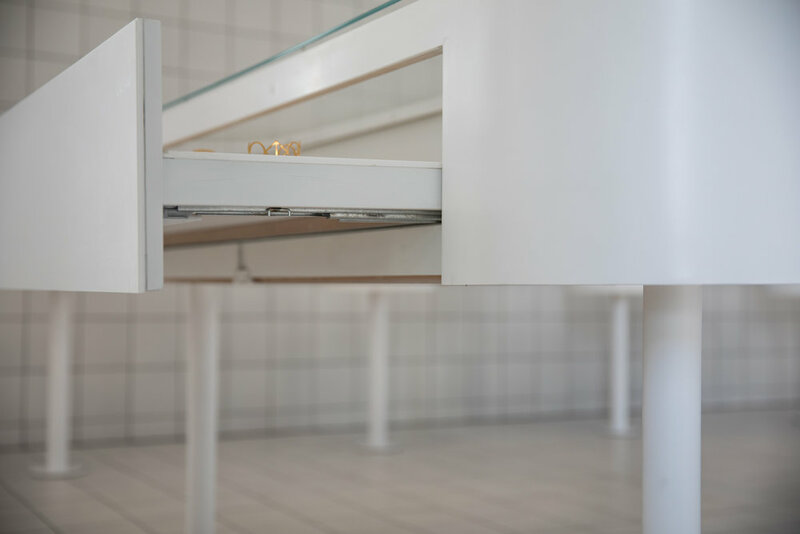 While the simplicity of the design solution may imply otherwise, there was in actuality significant engineering involved in the practical execution of what had been designed in theory. 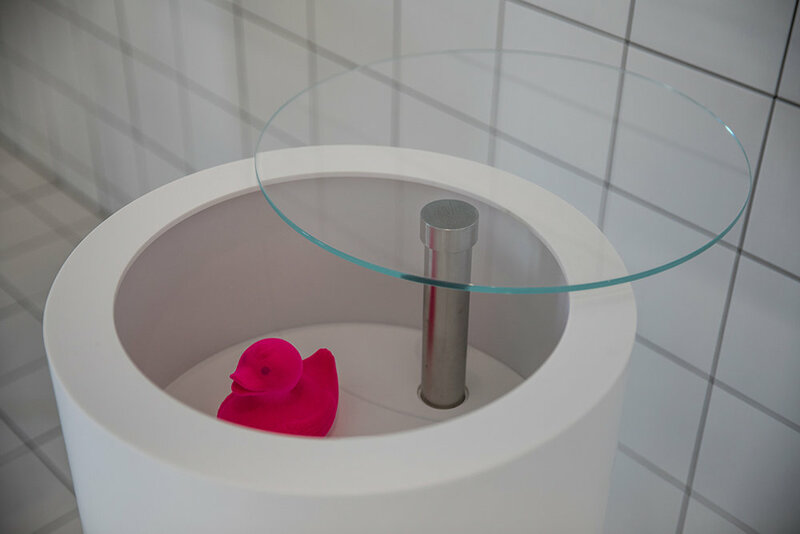 However, by partnering with expert shopfitter Carlos La, and with product support from PG Bison Surface Innovations, we were able to custom create cabinetry that not only explored the technical limits of Corian® as a material, but which are also able to perfectly complement the merchandise on display. Inspired by technical graph paper used by Goss when designing her jewellery pieces, the tile grid creates a graphic, almost institutional backdrop for saturated, candy-coated washes of light. 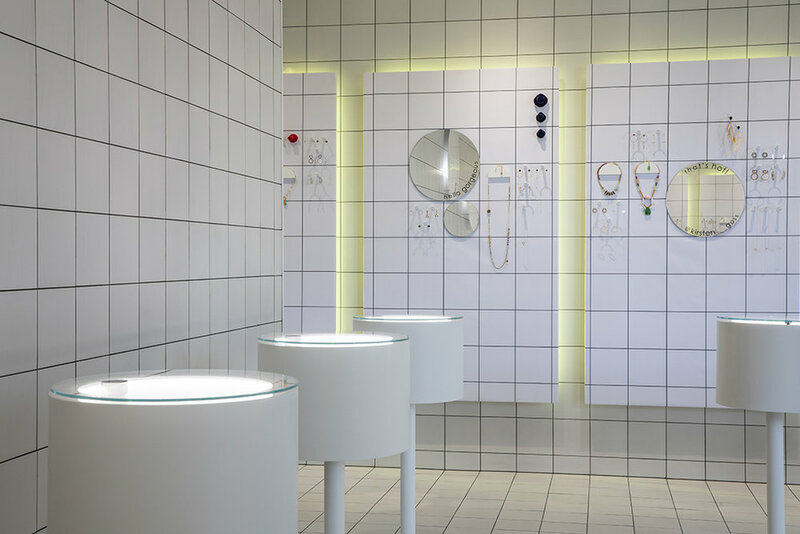 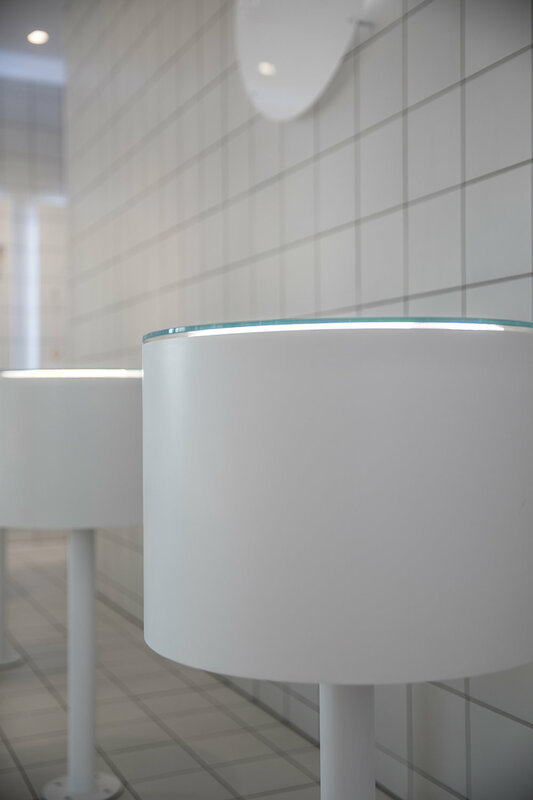 While the studio had long sworn off the use of colour-changing LEDs as otherwise gimmicky technology, its introduction into the stark interior setting adds unexpected intensity and variability to the store’s atmosphere. 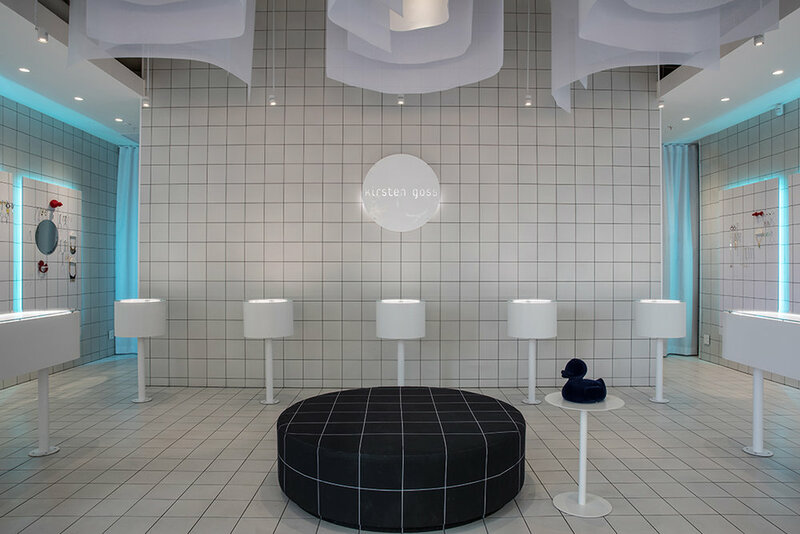 With an aesthetic that could easily be described as J-pop meets Kraftwerk, the Kirsten Goss Silos District storefront echoes a dialogue between luxury and lightheartedness that is embodied by the brand itself.